Hello everybody! I’m so happy with your amazing feedbacks on #Kaytips, seriously you guys are the best, such a pleasure to share with you (I understand why Kristina’s so attached and grateful to have you). I’ve been writing articles for several magazines in Switzerland but I have to say that sharing tips from my experiences, travels in a much more personal and “honest” way feels so good. Ok, let’s stop being emotional and start the serious things, yes, I’m talking shopping. It’s just so nice to keep all of my favorite trends in mind so that when I go shopping, I know exactly what to look for. Just so we can share this sinful shopping moment together, I wanted to share with you guys some of my personal favorites for the season. Let’s get started! Oh god, that’s the best trend alert ever for a overcautious girl like me. I always thought there’s something about turtlenecks, an Audrey Hepburn elegance perhaps or a frenchy je-ne-sais-quoi… There’s nothing more effortless and chic than long hair tucked inside the collar, don’t you think? I remember Céline’s Fall 2012 show and I literally was blown away by how simple yet interesting was that white oversized turtleneck, a piece that almost everyone had in their closet but that nobody was really paying attention to. And not to forget : they really do keep us warm when the cold days come! 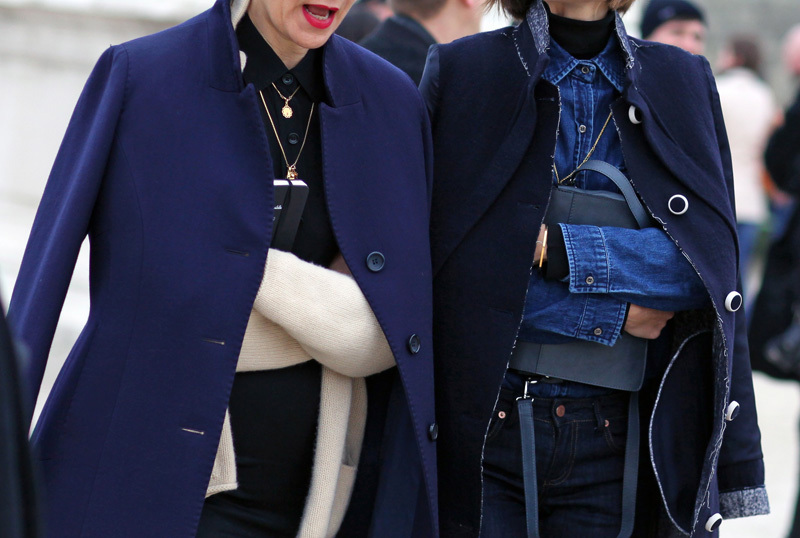 Then, we spotted turtlenecks on Wang or Marni catwalks, street style queens were all about it, they were everywhere! Cashmere, wool, oversized… make it rain! Asos and Topshop have great options as well but I mean, my heart belongs to this DVF one! It’s the perfect substitute to black during the cold months, I mean we were talking about elegance just before but what would be a black turtleneck without the ultimate camel coat? Camel-colored pieces add an instant chic to every look and the quest to the perfect colour is endless. For me, an oversize Camel coat was an absolute must to have for this winter, I was CRA-VING this one from Max Mara (if someone is willing to launch a quickstarter campaign for me) but I found the perfect deal on Asos. The cool thing is that the Camel shade comes in every pieces, we’re talking hats, culottes, turtlenecked dress (omg! ), bags or shoes! Get your hands on it. Now. Such a great article, inspiring!! Thanks for sharing this cool yips with us! I definitely need to find some white pieces for my closet and a perfect coat for this season! These are definitely the must haves for this season! Thanks for sharing! 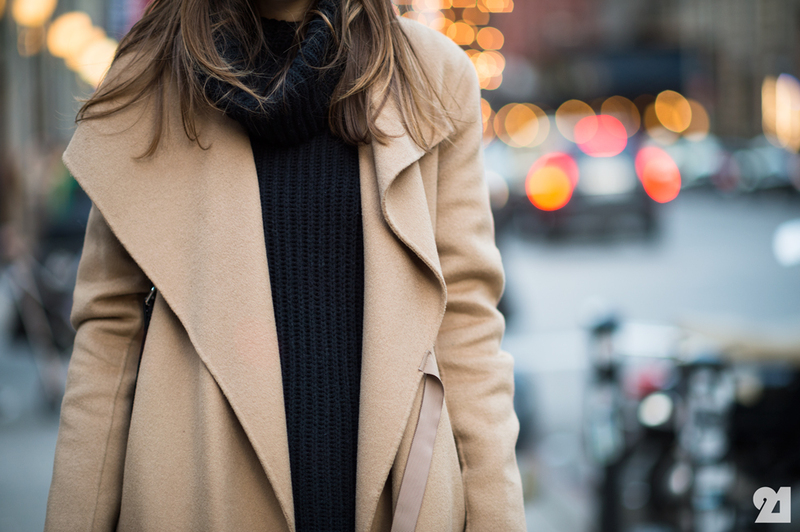 Such a great post, love turtlenecks ! The first pic of Phoebe Philo has to be one of my absolute favourite ever ! So chic, love how she wears her coat and hair. And great tips, love the all white look ! Love all these trends especially the camel pieces and the all white looks! These are such classy styles that have a timeless appeal! Amazing post! Great trends and items! I'm really into coats lately, I've already purchased 3 or 4 since fall started. Love these tips for the colder months! So many fabulous pieces! I am really happy, because this winter I found perfect coat! and I agree, that it is base of outfit! Turtleneck is my favorite winter piece and of course a fur coat! Great winter white look too! All of this is bang on! Thanks, Fiona - this was great. I always wanted to do so myself - get an overview of the trends of the season, but I never started doing it, but you just inspired me further. Thank you for that! Have a blessed day and happy Thanksgiving (late, I know). I'm loving camel coats at the minute! Love the camel coat trend! I love the camel everything! You are so right, it is the perfect alternative to black. Great article with terrific tips! I love the all-white-everything trend! great inspirational post, thanks for all the styling tips! I'm in love with your writing style! Amazing tips, thank you ! i agree with all ! love camel ! I wrote about you Kayture! Looking for new blogger friends, feel free to leave me a message would love to follow new people! This is a great list! And most of these are such timeless pieces and can be worn forever! Thanks for the tips, Fiona. Good article, well documented. I do lot of research and mostly shop on line and there are truly treasures and amazing bargains to be discovered!. One comment of the readers above is pertinent. It would be interesting to have tips about the shipments, sizing info, real life versus on line photo, customer service.Maybe a top ten ? I love camel but it does not suit my skin colour. I am a brunette with medium toned skin and dark eyes. Unless it is the ultimate Max Mara's coat, it usually either makes me look tired at best or sick with a gastric flu at worst!!!! what a shame!. Very well written, with great tips on trends! Thank you for sharing!